Hi! I'm Atoosa! I’m a compassionate, caring dental hygienist whose goal is to give my patients the care they need and deserve. My focus is prevention, and I believe we can avoid a lot of dental problems and discomfort this way. The practice of dental hygiene gives me the opportunity to meet patients of all ages, listen to their concerns, and recommend preventative measures to avoid new issues while improving oral health, which is closely related to overall health. I joined New Age Dental's team a year ago, and enjoy working in it’s friendly, and patient-oriented environment. I love seeing patients smile with confidence and maintain it by simple acts of daily home care and regular check-up and cleanings. Outside work I spend a lot of time with my friends and family, enjoy walking by the beach, reading, and of course shopping! 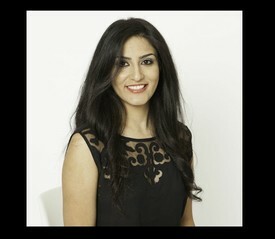 I’m looking forward to meeting you on your journey to optimum oral health. I have been part of New Age Dental's team for almost 8 years. I am a dental assistant who has assisted in general dentistry as well as in our orthodontic program. I am a people person, and I love learning about our patients. I love this job because each patient has a different needs, and each case is completely different. I am also a proud mother of two lovely boys who brighten my day everyday. 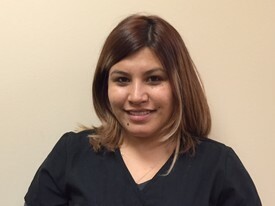 Yasmine has been working for Dr. Koko for 7 years now as a Dental Assistant. She started working at the Palatine location for 5 years and then relocated to the other offices in Morton Grove and Skokie when Dr. Koko sold his Palatine practice. She started working at New Age Dental with no dental experience and has learned dentistry throughout the years and obtained her certification in coronal polishing & sealants at the University of Illinois at Chicago. 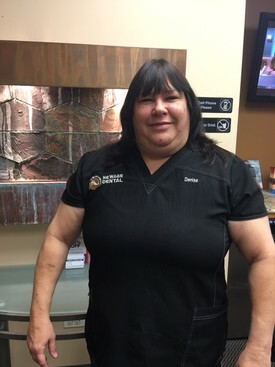 What she enjoys most about her job is being able to have an amazing team to work with on a daily basis and being able to get along and have fun with her colleagues while making sure that their patients are comfortable and satisfied with their dental experience at New Age Dental. 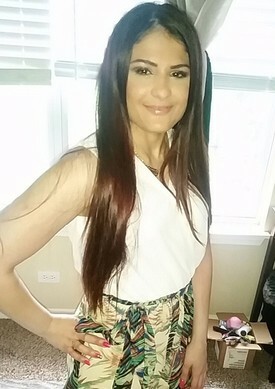 When she's not working, Yasmine enjoys reading, cooking, and spending time with her new nephew. I have been working for New Age Dental for 7 years and enjoy my job very much. Every day at work is a new and exciting day the people we meet are very nice and friendly and we enjoy having them at the practice.We make it our goal to make sure when our patients come in for a appointment that they are very satisfied when they leave and look forward to seeing them at their next visit with New Age Dental. I have raised 2 grown men and have 2 beautiful grandchildren who i enjoy spending my days off with.